XYplorer is a multi-tabbed file manager for Windows, featuring a very powerful file search, versatile preview facilities, a highly customizable interface, and a large array of unique ways to efficiently automate frequently recurring tasks. Cutting-edge file management using a true multi-tabbed interface. XYplorer is an Advanced File System Explorer targeting everyone who is looking for a real alternative to the Windows Explorer. 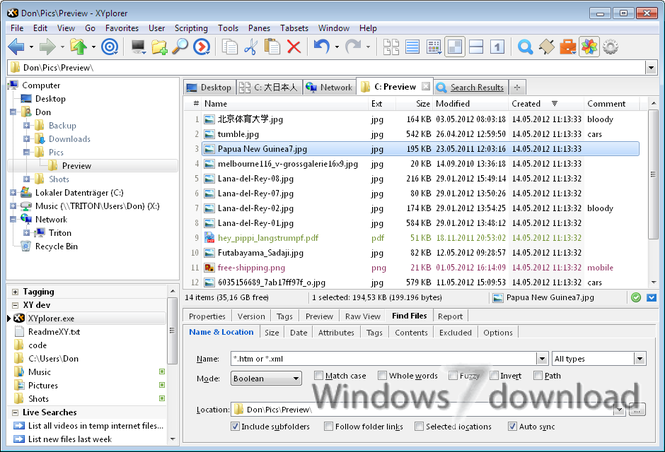 XYplorer is a tabbed file manager for Windows. It features a powerful file search, a versatile preview, a highly customizable interface, optional dual pane, and a large array of unique ways to efficiently automate frequently recurring tasks. It's fast and light, it's innovative, and it's portable. Since this is a portable software, installation is not required. You can simply place Portable XYplorer on an external drive and run its executable file on any computer. Also, your Windows registry will not be affected. The file manager runs on a low amount of system resources, includes a comprehensive help file for beginners and has an excellent response time. We haven't come across any difficulties during our tests and highly recommend Portable XYplorer to all users, especially the experienced ones, since it comes with many advanced functions. Multi-User-Tagging. The concept of Multi-User-Tagging, i.e. sharing file tags within a networked team, is around for quite a while in XYplorer, but the first implementation lacked power, comfort, and elegance. Not anymore. If you are looking for a way to implement a shared tagging system, you found it. Easy setup, fast automatic real-time synchronization, access control, and a large number of independent fields (Label, Tags, Comment, and 16 freely definable Extra Tags) for each file. Give it a try, annotate a file and have all your team members see your notes in real-time in their file manager. And see their comments in your file manager. Your team is fully connected. 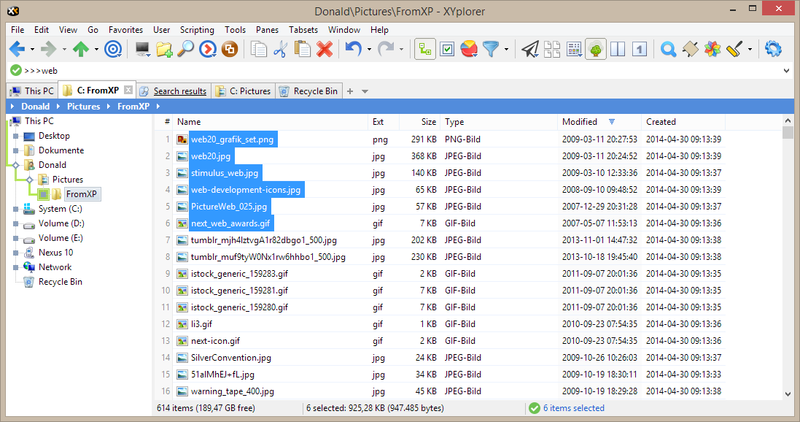 All Portable XYplorer reviews, submitted ratings and written comments become the sole property of Windows 7 download. You acknowledge that you, not windows7download, are responsible for the contents of your submission. However, windows7download reserves the right to remove or refuse to post any submission for any reason. Windows 7 Download periodically updates pricing and software information of Portable XYplorer full version from the publisher, but some information may be out-of-date. You should confirm all information. Using warez version, crack, warez passwords, patches, serial numbers, registration codes, key generator, pirate key, keymaker or keygen for Portable XYplorer license key is illegal and prevent future development of Portable XYplorer. Download links are directly from our mirrors or publisher's website, Portable XYplorer torrent or shared files from free file sharing and free upload services, including Rapidshare, MegaUpload, YouSendIt, SendSpace, DepositFiles, DivShare, HellShare, HotFile, FileServe or MediaFire, are not used.